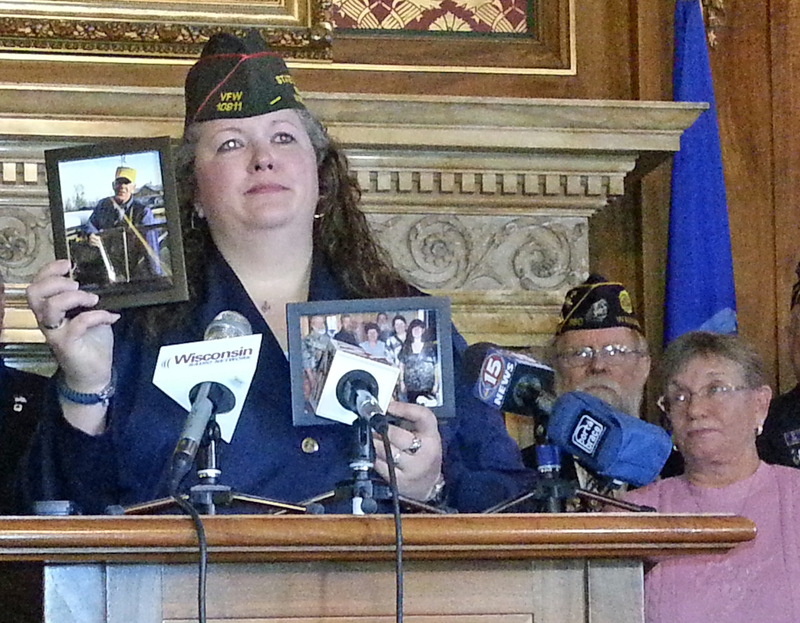 Representatives from veterans groups urge lawmakers to stop asbestos-related bills from becoming law. 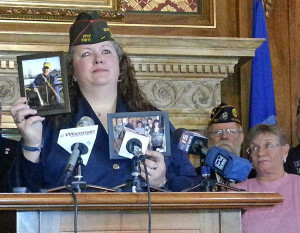 Military veterans opposed to the legislation (AB-19/SB-13) say it would “delay and deny justice to victims exposed to asbestos,” especially veterans. Jason Johns is executive director of Wisconsin Asbestos Victims Network. He says veterans make up 30 percent of all mesothelioma-related deaths, but only 8 percent of the population. Ruth Grosz is a widow of an asbestos victim who died three years ago of mesothelioma, an aggressive cancer caused from asbestos exposure. She says he was a proud marine, devoted husband, and loving father who lived a “well-respected life and did everything right” and he deserves better. The state Senate passed the heavily-lobbied legislation last week. The state Assembly is expected to vote on the final version of the measure this week before lawmakers adjourn for the year.